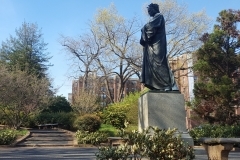 Location: Meridian Hill Park, southeast side of lower park, near 15th Street and Florida Avenue, NW. The location was originally called Poet’s Corner. 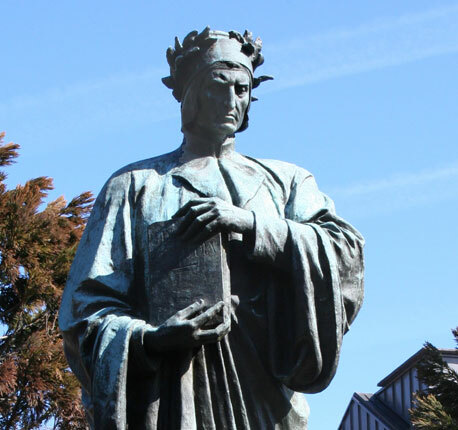 The statue of Dante was given to the city by Chevalier Carlo Barsotti, president of the Dante commission of New York. 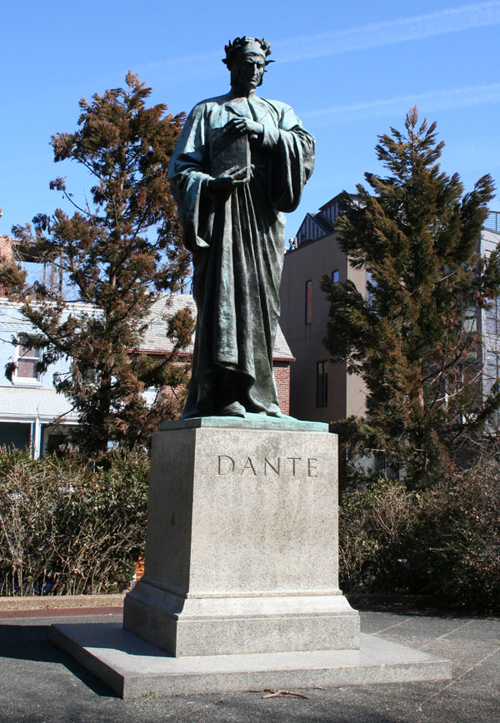 Created by Italian Commentator Ettore Ximenes, it is a replica of the Dante statue in New York City. 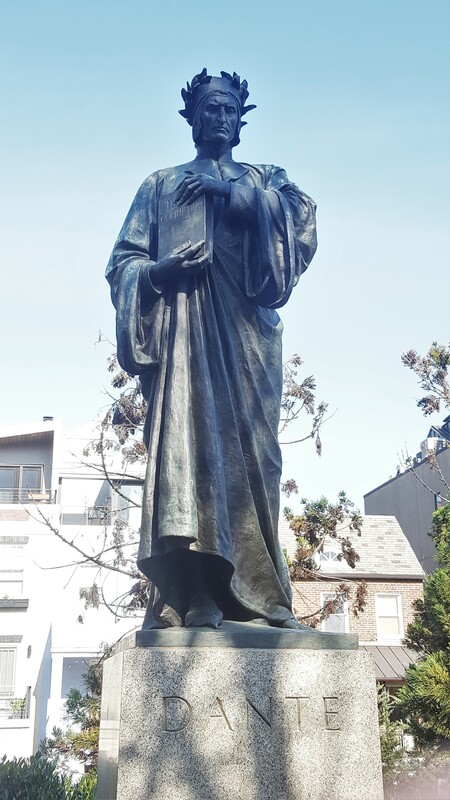 The statue is twelve feet high, and the pedestal is 9 feet high. At the unveiling a temporary pedestal was used. 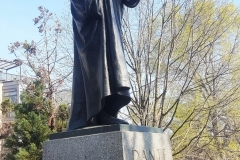 The statue shows Dante wrapped in a long cape, with a book under his arm. The dedication schedule was changed to accommodate some of the European delegation who were in Washington, D.C. for a post-World-War-I conference on the limitation of armaments. Addressing the crowd was M. Rene Viviani, former French premier. Also on hand were Italian Ambassador Roland Ricci, and Ambassador Jusserand. President Warren G. Harding was in attendance along with delegates from the recently concluded arms conference. 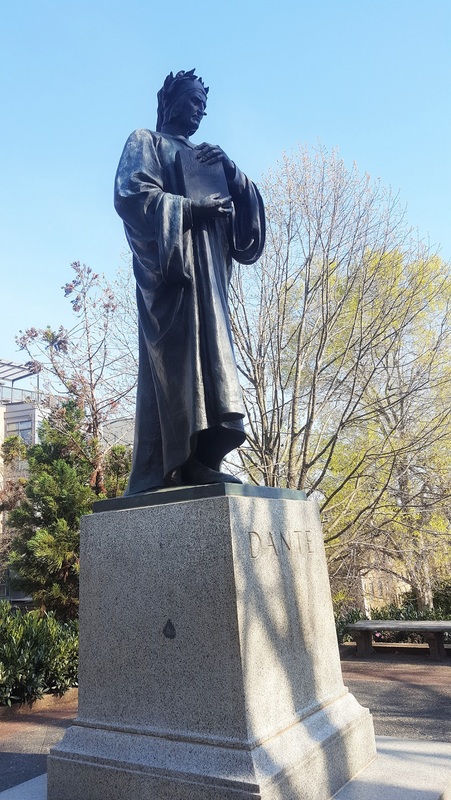 Barsotti explained that reverence for Dante, hope for success “of the noble work started by America in the interests of world-peace”, and “love, devotion, and loyalty to this great nation” were the main reasons for this gift to America. 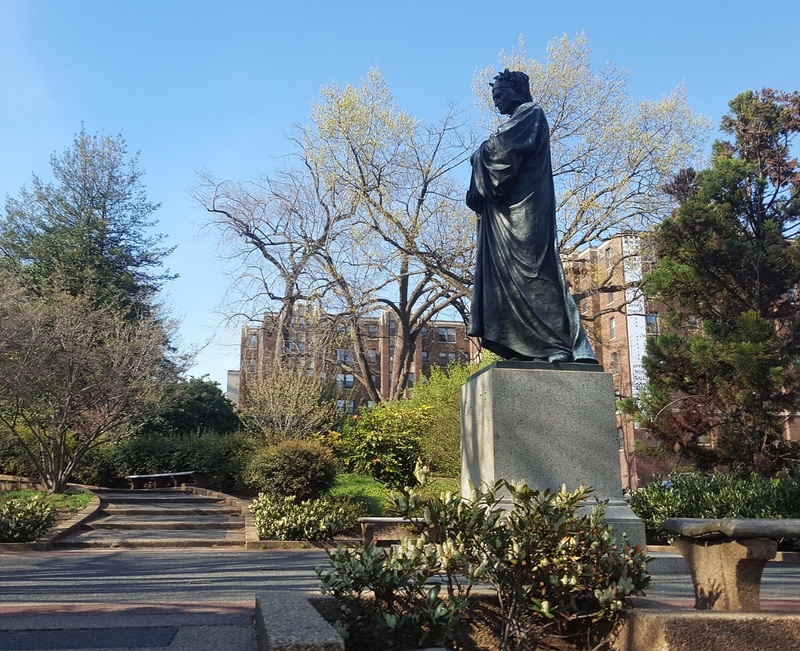 Op-Eds questioning the positioning of the Dante statue — hidden away in Meridian Hill Park, were plentiful after the dedication. But as one writer pointed out, Dante was a man of the people, using the quote: ‘Give the people light and they will find their own path’ to illustrate his point, and therefore perfectly situated. Speculation and opinions continued until November 1923 when final arrangements were made for a Rockport granite base, a replacement for the temporary base that had been used during the dedication. 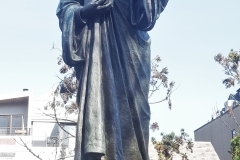 The base was presented and paid for by Carlo Barsotti, who had paid for the statue. 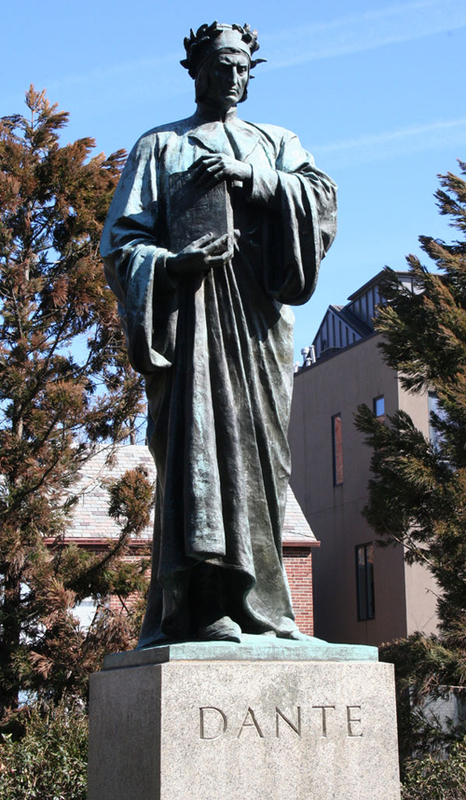 The year the statue was dedicated, 1921, was the 600th anniversary of the death of Dante Alighieri.